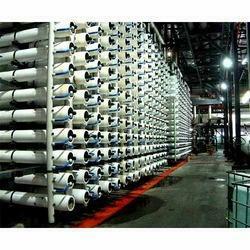 We are a leading Manufacturer of desalination plant, zero liquid discharge plant and sea water desalination plant from Pune, India. We are offering the high-quality collection of Desalination & Zero Liquid Discharge to our valuable customers. Designed and developed from high-grade materials, the products offered by us are fully integrated automated system incorporating a multiple effect evaporator, crystallizer, and associated accessories. The offered products are available with us at most economical prices within the committed span of time. Marcuras Water Treatment India Pvt. Ltd. is involved in offering Zero Liquid Discharge Plant, We supply systems based on either membrane processes, evaporative processes or a hybrid combining the two processes to achieve Zero Liquid Discharge from the plants in a cost-effective manner. Zero Liquid Discharge System is a fully integrated automated system incorporating a multiple effect evaporator, crystallizer, and associated accessories. In order to keep pace with changing trends of the industry, we are offering a quality assured assortment of Zero Liquid Discharge Plant. This plant is based on either on evaporative processes or membrane processes, a hybrid combining the two processes to achieve Zero Liquid Discharge from the plants. Apart from this, these products can be availed at pocket-friendly prices from us. 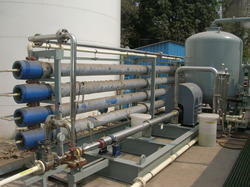 We are prominent names in the industry in offering a wide range of Sea Water Desalination Plant. Owing to their sturdiness, excellent damage resistance properties, and dimensional accuracy, these plants are highly demanded. Apart from this, these are widely used in various industries because of their outstanding features. Looking for Desalination and Zero Liquid Discharge ?